Consumers and industry alike want more transparency in the supply chain. 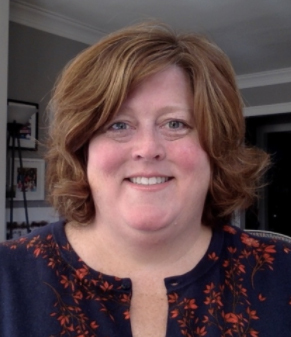 In a Q&A with Food Safety Tech, Julie McGill, director of implementation and strategic accounts at FoodLogiQ explains how companies can prepare to meet the increased demands and how technology can help. Food Safety Tech: In light of the recent outbreaks and recalls, there an increased focus on traceability. What should companies do to get ready? With the increased focus on traceability, companies should start assessing their internal capabilities, says Julie McGill of FoodLogiQ. Julie McGill: There is so much that companies can do today to prepare, and they can start by assessing their current capabilities. What problems are you trying to solve? Have you identified all of your products and locations with GS1 identifiers? Are you using GS1 identifiers in your systems? Do you have a data quality program in place? Are you able to mark all of your cases with a GS1-128 barcodes? Can you scan barcodes at receiving? At delivery? Are you sending EDI messages to your trading partners? Those with successful programs will tell you this is a marathon, not a sprint. Securing executive support, aligning internal teams and setting expectations with trading partners is key. Having the ability to act swiftly and with precision and accuracy is a differentiator during a recall. Trading partners who have made the investment are able to understand where these affected items are in their supply chains in seconds. These programs require a solid program, disciplined approach to implementation, and ongoing monitoring and management of the data. Companies that have committed to implementing these standards are gaining a competitive advantage today, as they are ready to meet the mandates and requirements set by their trading partners. Register to attend the complimentary web seminar, “Supply Chain Traceability: Using Technology to Address Challenges and Compliance” | May 14, 2019 | 1–4 pm ETFST: Is it actually possible to trace products to the source? Can we trace produce back to the field or fish back to the oceans? McGill: Yes, it is possible to trace products back to the source. Growing consumer demands and regulatory requirements, such as FSMA and SIMP, have led to the need for more detailed information about food and its origins. To achieve this, it’s imperative that companies standardize business practices, product identification and item data to enable interoperability across solutions and systems. There has been tremendous work done by industry stakeholders to address traceability. They’ve mapped their entire supply chains, identified the key data elements and critical tracking events to be captured to enable full chain traceability. GS1 US hosts initiatives in foodservice and retail grocery, plus there are a number of industry-run initiatives, including the Produce Traceability Initiative (PTI), Supply Chain Optimization (SCO2), and Global Dialogue for Seafood Traceability. Food industry partners agree that full chain traceability will be achieved through education, industry input, and the use of standards. FST: When talking about traceability, blockchain is part of many conversations today. How does it differ from existing solutions? McGill: Blockchain is an emerging technology that offers a way for companies to transact with each other and share information in a secure manner. What makes blockchain unique is that it is a shared, immutable ledger that records all the transactions in chronological order that cannot be altered or deleted. While this approach holds promise on raising transparency in the food industry, there is much yet to be tested and validated on its real-world application within the food chain. The most common use case for blockchain in the food industry has been traceability. As blockchain technology, solutions and use cases are evolving, industry partners have come together to discuss it’s capabilities and use. We host a Blockchain Consortium, bringing our members together to explore blockchain. Industry groups are coming together as well, such as GS1 US, who is hosting a cross-industry discussion group to help companies better understand the transformative qualities of blockchain, including the use of GS1 Standards. Blockchain has also made clear the need for companies to automate their record keeping and traceability systems and to eliminate the manual, paper-based processes that often slow down the resolution of a food safety outbreak or issue. Blockchain is not a “light switch” solution. What’s widely misunderstood is that in order to achieve full chain traceability, all partners across the supply chain will need to implement processes to capture and share this critical tracking event data. FST: Additional comments are welcome. Attend the Food Safety Supply Chain Conference, June 5–6, 2017 in Rockville, MD | LEARN MORERetailers demand peak supply chain performance, and suppliers who fail to provide on-time, accurate deliveries face costly penalties. Further to peak performance, retailers also require a high level of supply chain visibility and transparency to ensure the quality and safety of the food they’re selling. The many moving parts of the supply network require a fine-tuned logistical approach, and a big piece of this is having a retail strategy that optimizes and consolidates your food shipments. This helps suppliers in a myriad of ways, which we’ll delve into here. Before we do that, let’s set the stage a bit: Compliance programs are the norm within today’s retail supply chain. These programs outline appointment times and delivery standards to ensure quality of goods—among other things—along with the penalties for not meeting the terms. Retailers’ compliance programs vary, but the theme is consistent: Non-compliance results in major costs that add up over time and cause the risk of loss of business. To gain a competitive advantage, shippers are focusing more on retail consolidation programs that optimize and consolidate shipments while focusing on customer service to help shippers get ahead. These programs can provide complete visibility, enhance control, capture critical business intelligence, create efficiencies, decrease costs, reduce mileage, improve speed to market, and decrease over, short and damage (OS&D) claims—among other benefits. Inventory control is critical in the retail sector. Retailers try to keep their inventories low and have just-in-time deliveries from vendors. This helps to ensure goods are delivered and sold at the highest quality, which, for certain foods like fresh produce or refrigerated items, can often have a narrow window of freshness. At the same time, retailers want to make sure the product they need is going to be available. This is especially the case when seasonal demand for certain food items ebbs-and-flows, such as during the holidays. As part of a retail optimization program, supply chain service providers can help retailers and suppliers manage inventory by analyzing data and making proactive, rather than reactive, inventory and transportation decisions. The growth of the omni-channel sector—including in the grocery business—means customers want and expect things at the click of a button, and lead time has a major impact on the cost, quality control and continuity of ordering patterns. In fact, a recent report from Internet Retailer, 2016 Online Food Report, details how the online grocery sector is suddenly a booming market, and is expected to grow by 157% to $42.1 billion this year alone, according to Morgan Stanley. Proactive communication and continual analysis of transit time data can help suppliers plan and execute an effective transportation strategy as the omni-channel food retail market continues to tick up. Namely, by combining potentially inefficient partial loads into fully utilized truckloads, suppliers can achieve shorter, more predictable transit times. With proper pre-planning, loads can be consolidated, which then allows zone skipping and more direct transportation routes. Zone skipping also reduces the number of times freight is handled, which reduces the risk of damage and errors. A comprehensive network analysis and optimization effort can drive significant reductions in landed costs while maintaining, or even improving, transit times by considering production, warehousing and inventory needs in addition to transportation. Warehouse location is a critical decision; however, growth projections and potential new markets must be included in forward planning to ensure that today’s appropriate solution does not become tomorrow’s barrier to scalability. The decision to work with a single national warehouse provider or multiple regional warehouse providers is driven not solely by cost, but also by the consideration of utilizing a single or multiple warehouse management systems. This analysis complements a mode optimization effort, allowing shippers to control costs, ensure product safety and quality and enhance service through the optimum blend of intermodal, truckload and LTL services. Supply chain performance is critical to controlling costs, improving service, and when it comes to the food supply chain, ensuring quality of perishable goods. According to a survey by ECR McKinsey, successful collaboration on average resulted in a 4.4% decrease in out-of-stocks and a cost reduction of 5.4%. Collaboration can begin early in the supply chain. Shippers’ supply chain providers can provide an analysis of the entire supply chain and break down the invisible barriers that exist between different divisions within a supplier. Often, suppliers don’t realize they are operating in silos, are unaware of what others within the business may be doing and are unaware of the implications of those actions. They can also become so focused on meeting their immediate goals, they lose sight of the big picture. Early planning also helps providers offer a custom solution. For food service companies with multiple distribution facilities, retail consolidation becomes an important piece in the supply chain strategy and a critical method for improving profitability. The right retail consolidation programs allow the entire supply network to comply with retailers’ requirements while also increasing visibility, reliability and quality of product. Overall, this creates value for the shipper and their end-customers through improved service. It’s a win-win situation for all parties involved. When a business decides to invest in technology, the primary driver is usually to save money over the long term. As with most automated systems, inventory management tools can reduce costs by saving time and resources used to manage inventory. But the benefits that automated inventory tracking can provide through traceability (of lots, batches, and even individual items) go beyond the financial. These systems can also be used in every aspect of your food safety program from helping with compliance, to improving your quality controls. In a nutshell, having an automated system that allows full visibility into the supply chain—that is, one that identifies in real time where items are being used and where they are sent, while retaining a historical record of that flow through the chain—makes it much simpler and faster to implement procedures to ensure the safety of the food you produce. Speed and accuracy make a huge difference when it comes to dealing with potentially contaminated food. Being faster and more accurate than a manual inventory method is the most immediate benefit that an automated system brings to your food safety program. The most compelling reason for having accurate and readily accessible track-and-trace data is to handle food recalls and to comply with requests for documentation from government agencies such as the FDA. In cases where consumer health is at risk, that information needs to be delivered quickly to prevent further harm, and it must be accurate to enable investigators to move in the right direction. Responding to requests for detailed documentation within a 24-hour timeframe can be nearly impossible if you are not using an automated system. 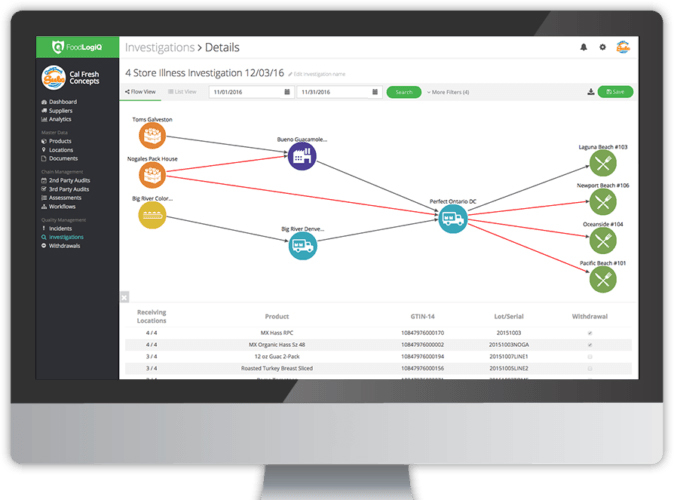 Even when the situation doesn’t involve a federal investigation, once a situation in which possible contamination or mislabeling arises, the faster you have accurate and detailed data, the faster your internal processes can move forward. If the issue is identified through your quality control process, you will be more likely to be able to prevent contaminated product from reaching the retail outlet and thus getting into the hands of the consumer. Having traceability built into your inventory management systems provides immediate knowledge about whether a product using ingredients from the same batch have entered the distribution chain, and if so, where they are going. 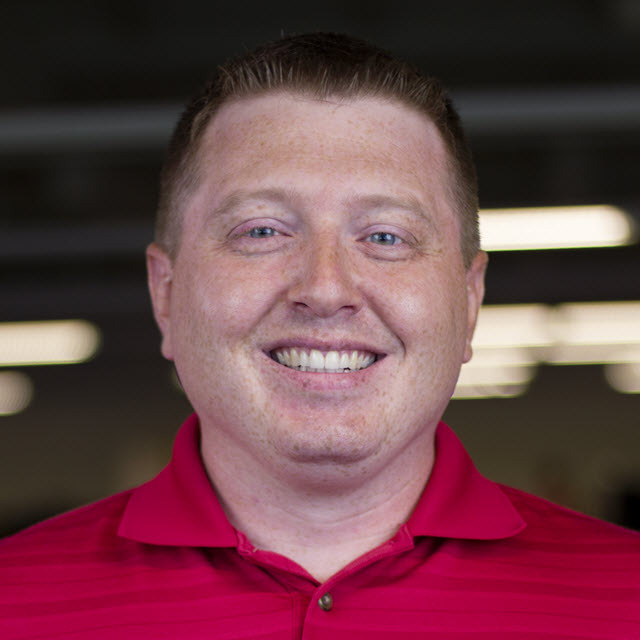 This greatly improves the likelihood of limiting the cost and scope of a recall. Depending on the specific technology you employ, an automated system can provide immediate access to the track and trace information for specific ingredients at least one step backward and one step forward, as required by the Bioterrorism Act of 2002. A supply chain that integrates the most sophisticated technology, such as DNA tracking, can trace an item all the way from the farm or border to the individual consumer or restaurant kitchen. This traceability means that if an ingredient was already contaminated before it entered your production line, the inventory tracking system can identify all products using that ingredient from the contaminated lot and thus will help you define the scope of the problem. This automation can go a step further by identifying where the ingredient lot originated, and thus help trace the ingredient at least one step backward to the vendor. If the vendor (whether a distribution company or a direct supplier) has traceability in an automated system, or if you are using a system hosted by a distribution partner, tracing the source farther back than one step is possible. Such information can help you respond more quickly to FDA requests for product information and support the agency’s efforts in product traceability. Just as using tracing technology can help identify potential contamination sources quickly, it can also be used to eliminate sources more quickly and accurately, thereby speeding up investigations into food contamination incidents. The faster a company can be eliminated from an investigation, the less time is taken away from normal production. In addition, quick exclusion can protect a company’s reputation from harm. For perishable products, automated traceability can identify how long specific perishables have been in supply chain. This allows you to avoid using ingredients close to spoilage and to remove overdue products from the distribution chain. During mock recalls, automated tracking systems reduce the time spent away from regular production and allow you consistent information throughout the organization, eliminating wasted effort due to miscommunications. Automated systems reduce the time needed for notifications both internally and externally in the case of an incident affecting food quality or safety. This leads to faster line clearance and faster isolation of the possibly contaminated product. With more effective accounting for possibly affected batches, you can better identify where to apply cleanup measures in the production chain. In short, automated tracking can improve implementation of preventive controls to stop the contaminated product from reaching the marketplace, and in cases in which corrective actions are required, the automated system can help you respond more quickly and can reduce the scope of risk. Packaging. A sub-standard packaging lot can allow incursion of harmful substances or the growth of harmful bacteria. Leakers can contaminate an entire batch of meat or poultry product. Automated lot tracking can help you rapidly isolate the bad lot and know which production lines have already used the sub-standard materials. Labeling. If an inferior adhesive has been applied to a batch of labels, you can identify which product lots to pull from the distribution chain. You can do the same if your quality controls find a batch of inaccurate labels. Protective equipment and clothing. Gloves, masks and other protective gear must function properly to ensure the safety of your workers and also to prevent contamination from being introduced on the production line. An inferior batch of protective gloves that tear during use, for example, could violate your food safety practices. Identifying the bad batch quickly and removing it from the operations area immediately can save potential contamination. Cleaning solutions. Even a batch of cleaning solution can be sub-par. If tests show that cleaning has not eliminated the targeted bacteria, for example, you can more quickly take measures to determine whether the root cause of the problem was a procedural issue or a quality issue with the batch of cleaner. The benefits of automated tracking systems to your food safety program extend beyond the production line. They can also enhance decision-making, vendor management and communications functions. How widespread is the potential contamination? Where is the product in the production and distribution chains? Have we already exposed consumers? These systems can put the answers to these questions in front of the appropriate decision makers early in the process. The technology can be configured to allow access to the data via a browser, so if those who make the final decisions are located elsewhere, they can see in real time the same information that you are seeing in the plant. This makes communication about potential contamination more effective and clear, since everyone can see the same thing at the same time, and it can eliminate the potential for miscommunication up the chain of command. By identifying where bad lots entered your supply chain, automated track-and-trace can enhance supplier accountability. You can accurately see if you have vendors with recurring issues in the quality of the supplies they are providing. A physical component, such as a label or tag, which contains detailed information identifying the specific lot or item. A database, where each discrete data item is stored. A reporting interface that allows people to access and use the identification information. This is the programming code that performs searches, retrieves the data, and formats the information in a formatted report, which is then presented on the screen, saved to a file, or sent to a printer. 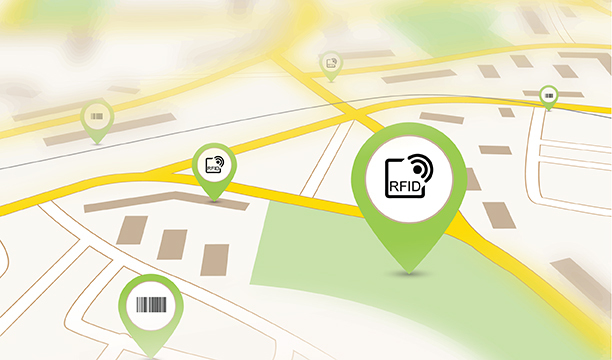 The most common physical components used by automated inventory tracking systems rely on barcode or RFID technology, or a combination of both. The choice of which technology to use to integrate into the inventory management database layer of the system depends on a number of factors, but both have been proven extremely accurate (some sources say up to 99%). What is more important than the choice of tracking tools is the quality of the data encoded in them. The latest in tracking technology uses an engineered DNA marker, in the form of an edible spray. When applied to produce, this DNA marker can track the individual item (i.e., an apple, head of lettuce or onion), along the entire food supply chain, identifying where it was farmed, the date it was picked, and where it was processed. Whatever form of technology you employ, ensuring that your data is complete and accurate and can be integrated into both your supply and distribution chain is critical to realizing the benefits of that system in supporting your food safety efforts. The WDS Food Safety Team also contributed to this article.